Q. 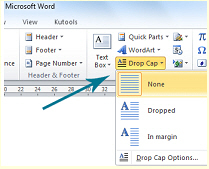 How do I insert a drop case in the beginning of my word document paragraph? Decide on the basic on in margin option.